How does Like to Know It Work for Shopping for Instagram Outfits? | Save. Spend. Splurge. 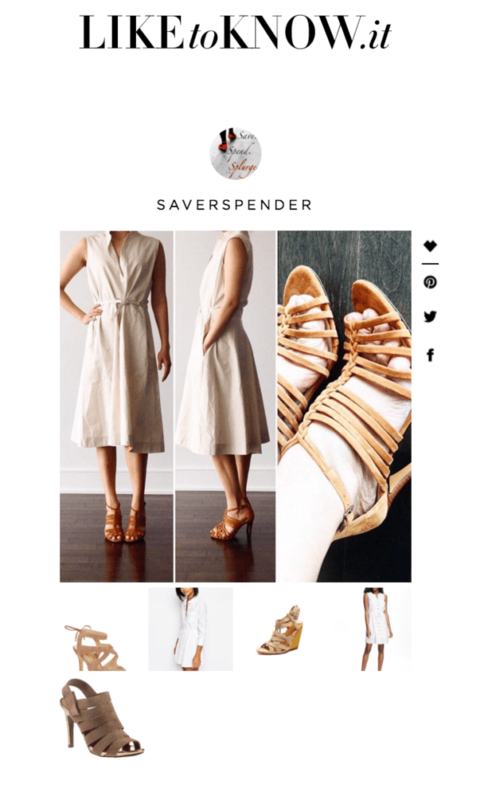 Home › Style › Shopping › How does Like to Know It Work for Shopping for Instagram Outfits? How does Like to Know It Work for Shopping for Instagram Outfits? I am on Instagram @saverspender and I just joined something called “Like To Know It”.. which I am going to start using as a way to answer all the questions of “where did you buy / get this”. Of course, you can ALWAYS email me and I will email you back (or message me) but it might be easier for you to do it via Like To Know it. 1. You need to be on Instagram already (obviously), then the next step is to sign up for Like to Know It. 2. Whenever you “Like” an Instagram Picture that you enjoy that has a Like to Know it URL like below..
3. Then when you sign back into Like to Know it, in the Menu click on LIKES and you will see all the photos you liked on Instagram with the items in the outfit (or similar ones anyway). Not working for me at all. I have hit like on a few things and signed up on like to know it but it doesn’t show any of the things I clicked like on. Don’t know what I’m doing wrong. There isn’t even a place to type in a Instagramers name to search for their posts. 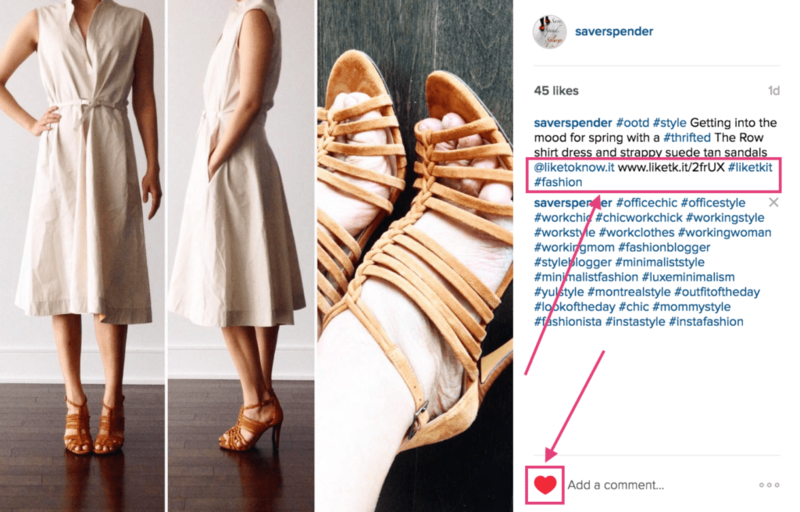 How about bloggers who want their outfits to be displayed in the “liketoknowit” feed? Can you please provide us the instructions? Thanks a lot! hi, ive already download the app but i can connect it to instagram, is that normal? I think you can just go to the site Like to Know it, and add my Instagram handle @saverspender..